Originally a beautiful and charming family home built at the end of the 18th century, it was recently renovated in keeping with the genuine ambiance and warmth of "old" Brussels in the typical townhouse style of oak floors, magnificently decorated ceilings, superb mouldings, elegant doors and marble fire places. It has been completely refurbished to a high standard with antiques throughout. The house is located in the Ixelles district, just a stone throw away from the Underground and bus services. This central location offers an excellent selection of good local restaurants, pubs, boutiques and cinemas in its vicinity. The house has a choice of three charming guest rooms, each with a private bath or shower and, in keeping with the character of the house a traditional timber staircase of low rises provides access to these rooms on the first and second floor.Three lovely guest rooms can be found via a beautiful traditional staircase. The rooms are finely adorned and bright. Each room has its own character and particular style. The diverse interior details combine the comfort of modern day living with traditional materials. Particular attention was given to the comfort of beds and bathrooms. 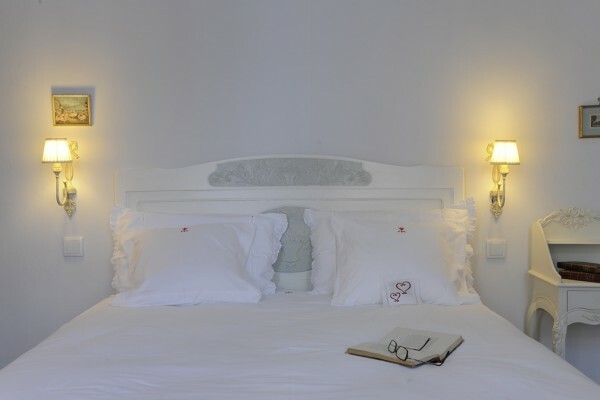 A good selection of books and tourist guides can be found in each of the quiet and comfortable rooms. Breakfast is included in the quoted price of the room and dinner can be provided at an extra cost if ordered in advance. 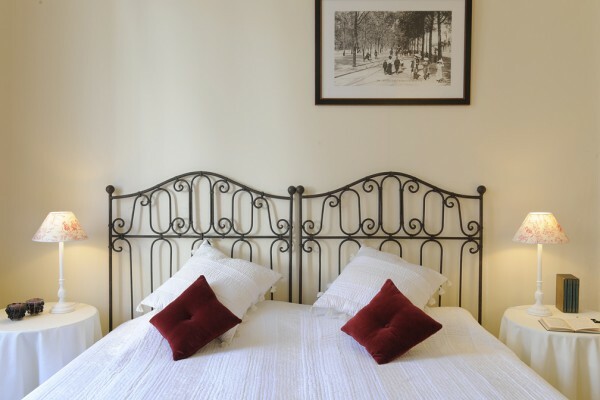 In addition you are welcome to relax in a delightful and cosy rear garden, ideal for a quiet rest after a busy day. Whether you are a businessman, businesswoman or a tourist, this guesthouse is ideal for a weekend break or holiday, with its “home-away from home” ambiance, charm, style and comfort. Three lovely guest rooms can be found via a beautiful traditional staircase. The rooms are finely adorned and bright. They are very large rooms, bright and quiet. 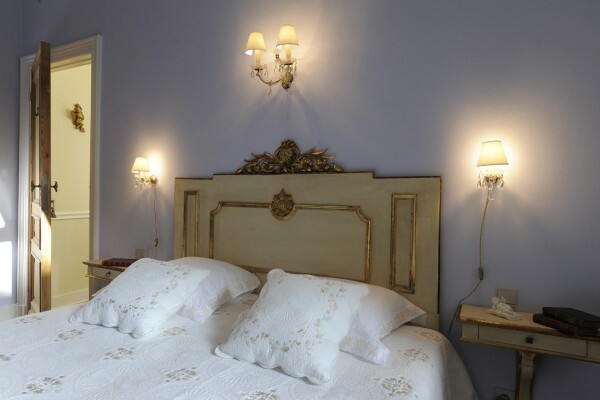 They are furnished with antique pieces which give this room its special ambience. Smokers can use the balcony! After a peaceful nights rest, let the great aroma of freshly brewed coffee and baked pastries guide you to the downstairs winter garden. Showered by sunlight, it is a warm and soothing room with view over the rear garden through a splendid glazed wall. Around the long breakfast table we offer a variety of options: a selection of locally baked pastries, homemade jams and cakes, coffee/expresso, selected teas, milk, quality honey from Italy, French butter, orange juice, seasonal fruits, a selection of breads and yoghourt. 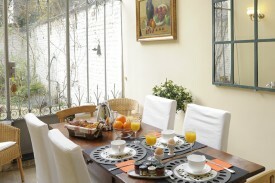 During the summer breakfast may be taken outdoors, in the beautifully manicured little garden. Your hostess has a particular interest in fine foods and wine. She loves cooking and would gladly welcome you to her table for a taste of good Italian regional meals. Evening meals should be booked in advance. A good stock of French and Italian wines is found in the in-house wine cellar. Pay car park in the street, or in private parking Tulipe (11 euro/day). No experiences yet with Nouvelle Vie. Be the first! Did you stay in Nouvelle Vie? Let us know what you thought about it and help others to make the right choice! * I confirm having stayed in Nouvelle Vie.